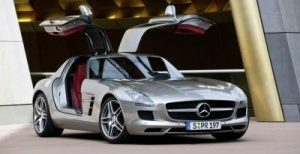 AMGmarket.com/PR news/Source: Stuttgart – Orders for the new Mercedes-Benz SLK commenced on 17 January 2011. It will feature a new, exciting design, exceptionally high levels of comfort for a roadster, as well as exquisite technology and no shortage of open-air driving pleasure. As such, the agile sports car already looks set to continue a success story which started back in 1994 with a show car. Strictly speaking, however, the pedigree of the SLK stretches back even further – to the 190 SL, a vehicle which automotive enthusiasts were already dreaming about in 1955 as the economic upturn was starting in the Federal Republic of Germany.